Gilligan might not have known how good he had it on that island, but you understand the value of a tropical getaway. 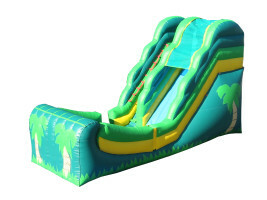 Luckily, the Half Pipe Tropical inflatable slide rental brings the tropical fun right to your backyard. 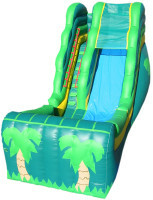 Climb to the top of the canopies, and then slide down into the clear blue waters surrounding your private island oasis.